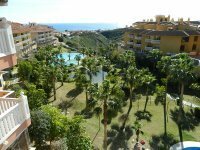 VILLAS AND APARTMENTS TO RENT IN MALAGA, SPAIN. 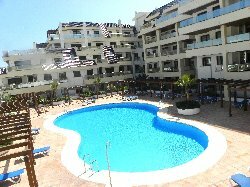 Welcome to our selection of holiday homes to rent in Malaga, Spain. M�laga is the second most populated city in Andalusia and the sixth largest in the whole of Spain. The climate is Subtropical-Mediterranean in nature with long hot summers and mild winters. A gem of a city with a fascinating old quarter next to a Roman theatre and palace, a commercial centre with first class shopping and a vibrant social life. Tourism is an important sector to M�laga so visitors are well catered for with many various fine restaurants specialising in the local seafood cuisines, and many places of interest around the city to see including several historically important buildings. With the opening of the Picasso museum, more people are choosing Malaga as a holiday destination. Locals flock to one of the many bars scattered all over the centre where the streets come alive with crowd�s young people during weekends and holidays. Of particular note, the promenade of El Palo is as beautiful at night as it is during the day. Many tourists and locals also enjoy visiting one of the nearby beaches where they can relax in the hot sun or cool off in the sparkling blue sea. There are several bars and restaurants close to the beach, some of which specialise in fresh fish and seafood dishes that the fishermen catch off the coast. Looking for self catering holiday accommodation in Malaga? Then below is a selection of holiday apartments in Malaga and holiday villas in Malaga that can be rented direct from their owners. You can either click on each listing for further details or you can use our search engine on the left if you are looking for something in particular. Throughout the town of Malaga, there is a range of fine museums to visit. There is the bullfighting museum, where there are exhibits and articles to see and the Picasso Home Museum, which features a number of Picasso's sketches. Throughout the coast of Malaga there are a range of fine beaches on offer. Two of those beaches are Nerja Beach and Torremolinos Beach. Nerja Beach is a long walkway of rocks perfect for fishing fanatics. Torremolinos Beach is one of the most popular beaches in Malaga and has several facilities to offer, which makes this ideal for family holidays. There is enough nightlife on offer throughout the town to suit all. From families to students to quiet drinkers, there�s a place for you in Malaga. Plaza de la Merced, 14. Malaga is located on the Costa del Sol in the Andalucia province in southern Spain. Because of its southern location, Malaga receives a typical Mediterranean climate that keeps tourists visiting all year round.